• Fermented foods: Yogurt, kimchi, kombucha, etc. • Whole grains only (whole grain bread, brown rice). No white foods. • Eat lots of first bites, but not many second bites. Most of the flavor/enjoyment comes in the first bite. My experience with physical fitness came later than for many, since I was successful in completely avoiding gym class in high school. When I was in graduate school, I needed something to help me deal with stress, so I would jog around the block a few times. That was about it. When I started working full time, I kept up the jogging, sometimes on a treadmill at work. That led to me running several 10k races from 2002 to 2005. One day when I was on my way to the gym at work, I ran into Lance. Literally - he knocked me down. He apologized profusely. I asked him to teach me about weight lifting in the gym, and he did. He explained the importance of doing 3 sets of 8-10 reps, to failure. And taught me about major muscle groups: Chest, back, shoulders, arms, legs. He showed me how to use the bench press for chest exercises, etc. Now I was able to mix some basic strength training into my workout program. I used the dumbbells and exercise machines at work regularly. In 2002 I changed jobs to a company without an adequate gym in the building, so I joined 24 Hour Fitness. I paid around $950 for a "lifetime" membership (annual renewal is $50 per year). That turned out to be a good deal - over the past many years I've paid very little per year for my gym membership. The gym gave me access to a greater diversity of equipment. I developed a routine, and changed it every 6 months or so to keep things interesting. But it was built around the same framework of repeating sets of reps of fundamentally the same exercises. In 2009, I had abdominal surgery and had to discontinue my gym-based workout regime for several months. That winter, I was laying in a bed in a hotel room in North Lake Tahoe watching infomercials at midnight, and I saw an infomercial for P90X. I have never bought anything before based on an infomercial. But a friend had told me about P90X, so when I got home, I bought it on Amazon.com for $140. The box came a few days later: A nutritional booklet, an exercise guide, and about 12 DVD's, each with its own exercise program. The exercise guide contains a detailed, day-by-day, 90 day plan. The nutrition plan is equally detailed, but can be summarized as "low carb, low calorie, high protein". The only equipment needed are a pull-up bar (i.e., one you can put in your doorway easily), and a simple set of weights. I started P90X in March of 2010 with a pull-up bar installed in my closet, and a set of BowFlex adjustable weights. I thought my gym routine had been pretty good, but P90X was transformational. I completed the 90 day P90X program, losing 10 pounds, decreasing body fat by 5%, and increasing lean muscle mass. Many people choose to stop P90X at the end of the 90 day period. I understand that - it's hard! But this had become a much more efficient use of my exercise time than going to the gym. So I chose to continue with a modified form of P90X. I tracked my progress using a spreadsheet, and viewed it as a long-term commitment. When I was doing P90X I kept a blog about it, which I've consolidated into one (somewhat hard-to-read) post. In Spring of 2012, I was still doing P90X, but I had heavily modified the routines so that I would not get bored. Despite the modifications, I was quite bored. It had been two years, and change was needed. No cardio. I just ate less. In spring 2018 I participated in Bike To Work Day, and really enjoyed biking to work. Throughout 2018 I biked to work once a week, which is 30-40 miles round trip. It was great exercise, and I plan to do that again in 2019. You've been carrying this problem around with you for a long time, perhaps years. In my case it was literally decades. It causes anxiety, depression, frustration, angst .... so many emotional issues. Think about how much "freer" you will feel if you have this problem off your back. Just not having to think about it every day, beating yourself up, freeing up your brain to focus on other more fun things, just not having to deal with it every waking moment. Give that gift to yourself. You are giving yourself that gift today. It's the best gift you can give yourself, better than any "thing". Yes, the first day is tough. And the first week you might remember how "good" a binge feels. But remember how bad it feels after -- physically and emotionally. And remind yourself that you're giving this gift to yourself so that you don't have to carry this around in your brain any longer... and use that to get through one evening at a time. Use that time to read a book, or watch a movie ... something to distract yourself. And once you get through a few days, it will get easier. Because you will recognize that you're freeing yourself of the baggage, and that's something only you can give yourself. I have gone on cruises while on WW, and found that the cruises offered plenty of WW-friendly foods, like egg-based breakfasts, vegetables, chicken breast, and fruit desserts. Below are some comments on how to approach a cruise while staying on WW. When many people plan a cruise vacation, they think about the food: Buffets, piles of chocolates and cookies, unlimited ice cream, delicious steaks. And yes, many cruises offer all of that and more. Mindset is important: Are you really paying thousands of dollars to go on a trip for food? If so, cancel the trip and just go to your nearest buffet restaurant. Change your mindset so that your vacation is about experiences that do not involve food. The food is there to sustain you to give you energy to do the things you want to do, but this is not a "food destination" trip. You can absolutely continue to make healthy eating choices on a cruise ship, just as you would at home, and not lose any experience at all. If you see something delicious, don't deprive yourself, but do ask yourself: Is this special, or is this something I can get at home? Because if you can get it at home, it isn't worth the indulgence. I am going to say something controversial here: I do not think the food on most cruise ships is exceptional. This is definitely true of the lower-end cruise lines (Carnival) and even the mid-range cruise lines (Royal Caribbean, NCL, etc.). Even on the Queen Mary II, I was completely unimpressed by the food offerings, compared to good restaurants I frequently eat at. Most of the food sits frozen on the ship for weeks. It is prepared in bulk. It is usually not made from fresh, expensive ingredients, the way a 5-star restaurant food would be. When you get on the ship, board with the mindset that you are not there to eat. You are there for the experiences. Any food you pass over you can get at home (and probably better quality) if you really want it later. Breakfast is served in both the cafeteria (buffet) and the sit-down restaurant. The cafeteria includes a lot of fruit and egg options. The sit-down restaurant usually includes fruit plates and omelettes. Lunch is served in both the cafeteria and sit-down restaurant. The cafeteria is usually easier to navigate for low-point offerings because you can control portions, and focus on vegetables, fruits, and lean proteins. Dinner is served in both the cafeteria and sit-down restaurant. Most people want to have dinner at the sit-down restaurant because it is a multi-course meal, usually fancier, and often seatted with other cruise guests. (1) Pre-eat zero-point vegetables at the cafeteria if you need to, or eat low-point food at the cafeteria for a late night snack if you exercised portion control at dinner and are still hungry. (2) there is usually a lean protein dish offered (like chicken breast with steamed vegetables) at the restaurant menu, with a appetizer salad or broth soup, and a fruit plate for dessert. You can ask your waiter to customize your dishes for things you don't want. Do not even think about eating the dinner rolls - they aren't that good and not worth the points. Cruise ships have specialty restaurants where you pay an additional fee for a formal; sit-down multi-course meal. These are often ethnic foods (Asian, Latin, etc.). You can decide if they are worth the price and points, I think it is good to splurge once on a cruise to experience the specialty restaurants, but going for every dinner will not be point-friendly. Before you spend money (and calories/points) at a specialty restaurant, look at the menu and decide if this is really worth it. You may find that you have similar restaurants at home, and the restaurant on the ship is not really that special. Most cruise ships have less formal specialty restaurants, like a hamburger and hot dog stand, or ice cream parlor. You have access to these at home, there is no reason to indulge in this (unhealthy) food on vacation. Fresh fruit is always available as a dessert option. Go for that, unless you pick one dessert to indulge in once. And then as yourself if it was worth it (the answer may be yes!). Water, tea, and coffee is free on ships. Soda and alcohol costs money. You can buy an unlimited soda plan for a fixed price. Consider using the cruise as an opportunity to break soda habits and abstain. When I was a kid, my mom made trail mix for me as a snack. I had a container of it in my bedroom. She added peanut butter chips, and M&M's. I loved those parts. I also loved cookies, especially the Little Debbie cookies, Oatmeal Cream Pies, and Chocolate Cream Pies, and peanut butter chocolate bars. When she would buy Little Debbie snacks, I would binge eating them. When I slept over at friends' houses, I raided their cookie jar at 3am. I remember on one occasion when I was about 11 years old, my mom and I were golfing at a country club we belonged to, and she commented that I would "have to be careful to not get a gut like my grandfather." As an adult, on many occasions I have gone to a grocery store and bought a box of cookies. I would sit in the parking lot eating them. I could not wait to get home. I was ashamed to eat them. I could not stop myself from eating. At work functions where there was dessert, I have gone back to the dessert table for seconds and thirds. I've had a normal dinners with friends, and then stopped by Wendy's or McDonalds on the way home to get two cheeseburgers and a milkshake. I've stopped by Burger King and gotten a Whopper with cheese, a cheeseburger "side dish", chicken nuggets, and a milkshake, and then gone out to dinner. I've reclined the seat in my car to drive because I was uncomfortably bloated. I've tried just about every diet. I've lost a lot of weight, and regained it, repeatedly. The food I would eat in shame would satiate me. It would scratch some emotional itch that I had. I don't know the origin of my binge eating disorder and sugar addiction. They definitely originated when I was a kid, because I have many memories of binge eating high-sugar foods as a kid. I have fewer memories of binge eating high-sugar foods when I was in high school, college, and graduate school. But the problem definitely resumed when I was an adult. The problem is most likely linked to other anxiety / depression / stress issues that I have. I'm not sure I can remedy one problem without causing another, but I must try. Diets don't work for me because I lack the ability to control what I eat. If I count calories or points, I will simply lose control and binge eat. This results in feeling like a failure, and starts a downward cycle of binge eating, fasting, dieting, more binge eating, and feelings of guilt and despair. Abstinence has attracted me because I am an abstainer, not a moderator. I can abstain from something, but I cannot moderate my eating. I can have no cookies, or all the cookies; I cannot just have one cookie. I've tried abstinence in the past but I had trouble defining what I was abstaining from. I have to eat food, so I cannot abstain from food. Alcoholics have to drink liquids, but abstain from liquids with alcohol. I need to eat foods, but need to abstain from foods with sugar added. My trigger food is definitely sugar. But it is probably any food that results in an insulin spike. The other day for dinner I had homemade beef curry with vegetables over rice. I could have spent 15 minutes adding each ingredient to my WW app to track it. Instead, I just recorded the maximum points for the day (28 in my case, less 4 for a prior meal) and was happy with that. I ate a very moderate portion, and skipped eating most of the high-point rice, so I felt like 24 points was more than generous for that meal. Tracking points is meant to bring mindfulness to eating, and guiding us towards eating healthier foods. It should not be stressful or take away from the enjoyment of eating, otherwise, we will stop tracking. Not losing weight? You're eating too many zero point foods. Some people start counting points for zero point foods after consuming a certain number of servings per day (e.g., count 2 points for each serving of fruit after your first two "free" servings). That is too complex for me, so I took a different approach: My target daily points are 23, and my target weekly points are 35, for an average of 28 total points per day (23 + 35/7). I eat my daily points (23), and I don't use my weekly points. I treat my weekly points (5 per day, on average) as a "buffer" for the relatively large amount of zero point foods I eat. For example: In a typical day, I will have a zero-point breakfast, and a 3 point lunch, and a 10 point dinner, for a total of 13 points. That is the lowest points I can eat in a day and still be within my recommended daily point range. But I eat a lot of zero-point foods: Three to four servings of fruit, several servings of eggs, two servings of beans, at least one serving of protein, and one to two servings of fat-free Greek yogurt. From a calorie perspective, that gets me to the calories I need for the day. I went to Target to get a roll of tape for a project. On my way there, I started thinking about what food I could buy there. Cookies, specifically. Sugar cookies with icing. Once I arrived, I went directly to the food area, and found something even better: A dozen chocolate chip cookies, with icing. Grabbed it, and went to find the tape. The whole time I was looking for the tape, I was thinking about eating the cookies. Once I got to the car, I ate three. I did not even take the time to turn on the air conditioner, I just gobbled the cookies, in the heat of the closed car. Tracking foods is an important part of WW. It is important to learn how many points various foods have, to learn which foods are healthy (to eat more) and which are less healthy (to eat less). Tracking is a good habit to get into, because not tracking can lead to laziness and sleepiness with making sure one is eating within one's daily and weekly points. Tracking is a great way to be mindful about what one is eating. Tracking zero-point foods (fruits, vegetables, eggs, lean meats, beans) can be time intensive, especially when eating a lot of them (e.g., a salad). So rather than track individual ingredients or even individual zero-point foods, I created a custom zero-calorie food called "Zero-Point Food", favorited it, and I just track that. For example, for breakfast I often have egg whites, with one or two hard boiled eggs, and fresh fruit. Those are all zero-point foods, but tracking 3 items is time intensive and sometimes leads me to not track at all (a bad habit!). So now I track my "Zero-Point Food" favorite to mentally check that I did eat a healthy breakfast. It also counts towards Wellness Wins points! I do not remember a time that my relationship with food was ever normal. Every once in a while I spin into a crisis of confidence. I have a binge eating episode, and have a crisis about what plan I should follow to get back on track. I know part of this is caused by searching podcasts, YouTube channels, and websites for tricks and tips. I want to take an inventory of what goes on in my mind, ranked in order of overall likely success. Weight Watchers (WW) was absolutely critical and successful in my weight loss, and getting me to a previously unreachable goal weight. But I often find it too restrictive for the (healthy) foods that I want to eat. Especially with hard to track foods like home cooked meals, ethnic foods, restaurant foods, etc. I'm not convinced that counting points is something I can keep doing long-term. But it is the only diet plan that has actually resulted in me losing weight. Food plan abstinence was something I initially thought was too complicated to follow but revisited and found success with. I'm now convinced that following a food plan, and turning over my eating decisions to that food plan, is critical to my success, either alone or in combination with other strategies. Intermittent fasting sounds easy to follow, something I can stick with long-term, is time based which I can follow, has good results for blood sugar, can be easily gamified. But I found that during my eating windows I would binge eat, and that was counterproductive. Keto sounds delicious, and successful for many. But when I've tried it, I gained weight, and couldn't stick with it for more than few days. Definitely not an option for me for long-term success. Intuitive eating is an approach that basically lets me decide what to eat and when to eat based on how hungry I feel. No foods are off limits. That is pretty much how I got myself in trouble with binge eating to begin with. Overeater's Anonymous is something that was very tempting to me because of gamification by counting days of sobriety, and comparative success with alcoholics. But meetings aren't convenient for me. This analysis is useful for me to realize that following a food plan, and WW, are the only two programs that I know work. At the very least I need to stick with my food plan, and consider if or how WW should be integrated into my plan. Today I achieved my goal weight. A weight that I am absolutely steadfastly committed to maintaining. This achievement is due to the framework that WW has provided to enable me to have control over my food choices. Frustration with my inability to "just lose a few pounds"
I know maintenance will not be easy. I will have setbacks. But I am incredibly thankful and relieved that the above bad behaviors are largely behind me. I am proud of what I accomplished, happy for others who have also achieved this orare on their way, and thankful to WW for giving me the tools to overcome my weaknesses and achieve this monumental life goal. I have an abusive relationship with food. I use food to punish myself. I use food to sabotage my happiness. This abuse led to (or was caused by, I'm not sure) body dysmorphia. Through much of my adult life, I experienced a pervasive anxiety about food, and extreme unhappiness about how my body looked. I was frustrated with my inability to control binge eating. I was frustrated with my inability to "just lose a few pounds." I was embarrassed about how I looked in photos, even if others did not perceive me as overweight. I knew that my relationship with food was causing my anguish. But I could not control my eating, and therefore the resulting horrible feelings. For most of my adult life, I have wanted to lose weight. Not a lot of weight, just ten to twenty pounds. I realize this is tiny by WW standards, and that most people on WW are struggling with much more weight, even 10x that. But I also know a lot of people who would just like to lose a few pounds, and develop healthier relationships with their body, food, and fitness. I have learned that WW can help a full spectrum of people who want to lose weight and be healthier. I have cycled through many diets, fitness programs, nutritionists, trainers, 12 step programs, diet books, and therapy, trying to find a way to just lose a few pounds. I thought a few-pound start might give me the encouragement to lose more weight, and keep the weight off. Most of the time I would stick with a plan for a few weeks, with poor results. Other times I gave up after a few days and quickly went onto the next attempt. Fitbit, Atkins, P90X, CICO, OMAD, Intermittent Fasting, weight lifting, cardio, ketogenic, paleo, I have tried them all many times. A few times I have had significant success, but I was not able to successfully shift from the diet phase to a maintenance phase, and quickly regained all the weight I lost. I realized that my weight had hit an all-time high, that my fasting glucose levels were edging towards a diabetes diagnosis, and that my anxiety about food and weight was occupying all of my waking hours. None of the numerous diet programs and other attempts at a solution were working. I turned to WW. I took advantage of good weather to bike to work twice, for a total of 60 miles. I used my new 32oz Naglene bottle to drink a lot of water. I recommitted myself to staying on track with WW, and tracking all the food I eat to build good habits and prevent bingeing. I introduced a coworker to WW after she asked how I lost so much weight. I met my week's step goal for my work's StepBet 4 week challenge. I ended the week less than a pound over my goal weight. I have some travel coming up, and I am mentally preparing for that, thinking through how I will stay on track and avoid binge eating while travelling. The binge that started last Friday continued on Monday, Tuesday, and Wednesday. I stopped it and got back on track on Thursday. This was very disappointing to me after several weeks of success, but I know not to dwell on the past, and to only look forward. The past five days have been a challenging ones. I fell off the wagon on Friday. Saturday and Sunday were okay. Monday and Tuesday were not okay. I am refocusing on my food plan and determined to start fresh today. I am easily motivated by rewards. Rather than food-based rewards, which would be bad for a diet, WW uses charms. Charms are given for weight loss milestones. Charms are given out in meetings, and not available for online-only members. Because I am easily motivated by rewards/awards, I wanted charms despite not initially attending meetings. So I bought them on eBay. That kept my motivation up and gave me something tangible as a reward for my weight loss. Today I am running the St. Patrick's Day 10k race. I do not like running. I know some people look forward to heading out and running 3, 6, 13, or even 26 miles. I do not understand that at all. I tolerate running. I am not particularly good at it, but I do it because it's the most efficient way to increase my cardiovascular health, and does not require any special equipment. I've run a number of 5k and 10k races, and even a handful of half-marathons. I started running in the spring of 2001. At first it was just around the block after work, but eventually I worked up to three miles in thirty minutes. That was my couch-to-5k program, before there was such a thing. In May 2003, I decided to run the Human Race 5k run. But when I got to the 5k/10k fork, I decided to go for the 10k. I managed to cross the finish line in just under an hour. I ran several other 10k races in 2003, until I injured my knee hiking Yosemite's Half Dome in October 2003. I decided to run again in 2004. My goal for the summer was to break the 50 minute mark (8 minute mile), which I did. I took 2005 off from running to focus on other activities. I ran a few more times in 2006, and that was the last of the races for a while as I focused more on biking, weight lifting, swimming, and other aerobics. I'm pretty far away from my record 10k time (7:52 minute mile) now, as I'm focusing on keeping my heart rate in the aerobic zone (Z3), putting my time closer to 10 to 11 minute miles. My favorite race that I've run is the Wharf-to-Wharf 6 mile run in Santa Cruz. The entire community turns out to support the runners along the length of the race. It is a very moving and emotional experience. And I saw someone die when I was running, which helped me keep life in perspective. My second favorite race was the Human Race in Mountain View (no longer run). They played Amazing Grace at the beginning, which I think is a moving way to start a race, and it was a festive atmosphere that ran through what is now the Googleplex. I track my stats on Strava, if anyone wants to add me. "There will be days when you are not sure if you can finish a race. There will be a lifetime knowing that you have." "The miracle isn't that you finished a run. The miracle is that you had the courage to start one." Mindset is important to succeeding with health goals. I used to think of my various attempts in terms of trial and error, or success and failure. That framed my health in very opposing positive and negative terms. I prefer instead to think of my attempts at things as lifehacks, and pivots. I try something for a while, take the parts of it that are successful, and pivot away from the aspects that do not work well for me. And I keep in mind that what works for one person or even the majority may not work for me. I apply this in my daily life with how I manage my calendar, tasks, email, and certainly my exercise and fitness regimes, and my approach to food. One thing I've learned as a constant is that WW works for me. When I gain weight, if I go back and follow a "clean" or strict WW points program, it absolutely works for me. I've also picked up recently that having a Food Plan with set rules is really helpful to me to avoid sugar, which has been an addition issue. Resuming a clean/strict WW points approach. Tracking everything I eat, and staying within my allotted 23 points a day plus 35 weekly points. I know how to do this, and I'm good at it, and it absolutely works for me. Never any added sugar or artificial sweeteners. Always stick to my WW points. Always get a minimum level of physical activity each month. Never restrict my intake of zero point foods. I am eliminating the processed / unprocessed food element. That was a bit too nuanced and confusing and not really in response to my bingeing / addiction issues. Sticking to points should cover this. I'll try this approach for a while and see how it works, but I'm not afraid to continue to hack this system and pivot as necessary. And I've learned to never think of my actions as failures -- just learning experiences on a continuum of progress. I almost made it ... almost three weeks. I attended my WW meeting in the morning, but my eating had been a bit sloppy lately, and this afternoon things fell apart. I am okay with that though ... I ate some foods that I have not eaten in three weeks, and they tasted good. I did not feel shame, or guilt. I felt pleasure while eating, with a determination to move on after, and knowing that I have the tools and skills to be healthy. This weekend I will go back to basics with food tracking on WW, and stay within points. I need to stick with a simple system for a little while, and points is simple. When I go on vacation, I do my best to stick to my weight loss plan. But my goal on vacation is to maintain weight, not lose. Having said that, I have gone on vacations that are food-heavy, where I did not want to feel guilty about indulging in delicious foods, and for those I put WW on pause (I stopped tracking). I resumed upon my return from vacation, guilt free. I have gone on cruises while on WW, and found that the cruises offered WW-friendly foods, like egg-based breakfasts, vegetables, chicken breast, and fruit desserts. Now that I am following a Food Plan, I will always maintain that plan while on vacation. I try to be strategic about eating. Viewing eating as an opportunity to further my progress to my goals helps me keep a positive relationship with food and not resent the program I am on. Sticking to meal routines (same food for most breakfasts/lunches) reduces opportunities for slipping up. I rely a lot on Freestyle foods. Especially chicken breast, eggs, fish, and beans. I typically eat 3-4 servings of fruit a day, and as many servings of vegetables as I can. I developed some go-to meals that are healthy, low(er) in points, and reliable foods for me to seek out when I am hungry or eating out: Freestyle foods; eggs and egg whites for breakfast (or any meal); salads with black beans and soybeans, apples, bananas, berries for snacks; Subway chopped chicken salads with mustard for dressing (1 point! ); Starbucks Reduced-Fat Turkey Bacon & Cage Free Egg White Sandwich (5 points); tom yum chicken soup at Thai restaurants (2 points per cup); sashimi or tofu stew at Japanese restaurants; tofu kimchi soup at Korean restaurants; and poke bowls without dressing. I had been a long-time heavy drinker of diet soda (2-3 cans a day). I know it was not great for me due to artificial ingredients and the possible link between artificial sweeteners and metabolic disorder due to insulin sensitivity. When I started WW I decided to continue drinking diet sodas. I felt making too many changes to my food routines all at once might cause me to fail in my goals. Once I achieved my goal weight, I made reducing my intake of diet soda a priority, and stopped drinking diet soda entirely soon after making Lifetime. Note: This is an entry in my journal that I wrote in the fall of 2018, a day after one of my binge eating episodes. I reprint this here because it is very typical of the type of crisis I had every time I binged. Yesterday's binge eating was a classic for me. I'm getting close to my goal weight, so my subconscious decided it was time for some self-sabotage. I had a healthy breakfast, and at lunch I decided to add some chicken thigh to my salad, which was not my eating plan for the day. I was craving nuts and cheese so I had some of that. Then a peanut butter and jelly sandwich sounded good. By then, SmartPoints were out the window, so it was time for some ice cream and a cookie. And some cereal. A few peanut butter cups. A coworker had a birthday, so two slices of birthday cake in the afternoon. At this point I started feeling physically and mentally unwell from the blood sugar spike. I'm pretty sure I ate some additional cookies and sweets, but I don't remember. Then it was time to go home from work. The whole drive home I was thinking about Burger King, so I made a detour and that became dinner. Of course I can't just have one Whopper, so I also get a cheeseburger as a side dish. At least I didn't have my usual milkshake. By then, I felt absolutely horrible. My stomach was not happy, and I could tell my blood sugar was sky high. I made it home and layed down, and started drinking herbal tea and water to flush sugar and salt out of my system. I had my usual post-binge crisis about whether switching to another weightloss program like keto, intermittent fasting, etc. would be better. By the next morning I had come to my senses that WW has helped me lose 30 pounds, those other programs only resulted in weight gain, so I'm probably best just sticking with WW. I skipped breakfast to let my stomach finish processing yesterday's binge, and had a healthy salad with chicken and eggs for lunch. I'm back on track towards goal. Note: Soon after this happened I did reach my goal weight, and have maintained that weight since then, despite having additional binge eating episodes. Many days, if I am feeling that my weight is in a good place (below goal), I do not restrict myself from eating any foods that are whole, unprocessed foods. This includes SmartPoint indulgences like nuts, cheese, nut butters, and oatmeal. It satisfies me and keeps me from thinking about trigger foods. Weight loss and the desire to stop binge eating are related, for sure. My experience has been that it is better to address each goal separately though. During my weight loss phase with WW, I had binge eating days (sometimes many). That certainly slowed down my weight loss, but overall I had more days on-plan than bingeing, and so I lost weight steadily. Once I achieved my goal weight, I realized the harm binge eating was causing me, and I feared it would reverse my weight loss success. I do not believe that a "diet" can be used to address binge eating disorder. Diets are restrictive, and binge eating rebels against a restrictive program. I had to identify what my trigger foods were (sugar and sweets) and come to a realization that I could not safely eat those foods. I had to completely, 100% eliminate certain foods (sugar-added foods) from my life. Allowing me a little bit of those foods was just a downhill slippery slope to a binge. Figuring out how to do that was difficult, but developing a food plan that I could turn over my eating decisions to was the method that resonated with me, and so far has been successful! My suggestion: Come up with a plan for weight loss that works for you. This might be following WW, keto, intermittent fasting, etc. Separately, come up with a plan that addresses binge eating: What are your trigger foods? Eliminate those entirely from your life for a day, then two days, then a week... and then you've built an abstinence habit. Is it possible to eat at Old Spaghetti Factory while on a diet? Yes! Old Spaghetti Factory is one of my favorite restaurants. The bread, garlic spread, salad with Thousand Island dressing, and delicious spaghetti with meat sauce ... and of course the spumoni ice cream. Well, I do not eat any of that any more. After scouring the menu, I decided that chicken marsala, substituting broccoli for the pasta, is entirely within my healthy eating plan. I also had a cup of minestrone soup. I use the setting for eating my weeklies but not my FitPoints. I eat all my dailies, use my weeklies for overages / special occasions, and I do not eat any of my FitPoints. On average, I eat all of my daily and some or all of my weekly points, and none of my FitPoints. Blue dots on the app's calendar signify days when I ate within a healthy range of daily points. My goal is as many blue dots as possible. If I do not get a blue-dot day, I do a postmortem on what happened and try to learn from that. At times, my cravings and urges to eat trigger foods, and to binge eat, have been very strong. Referring myself to my Food Plan has really helped me with a reason to avoid the trigger food and avoid the binge. I have been very diligent about avoiding sugar-added and artificially sweetened foods (items on my "Never" list). This is undoubtedly the longest I have gone in a long time without eating sweets. I feel good about that. But I have not followed my Food Plan to the letter. Specifically I've not been tracking with Weight Watchers and staying within my daily point range each day. My weight has been in a very healthy range below goal, and so I opened up my eating to a bit more quantity than when I need to lose weight. At all times though I followed the rest of my food plan, including eating only unprocessed foods (a lot of beans, eggs, whole grains, some meats), and no sugar/artificial sweetener. Most importantly, I did not binge eat, for two weeks. I feel very good about where I am at right now. I feel in control, and although I definitely battling urges and cravings, I feel like I have a great set of tools to keep me abstinent from binge eating. One of the techniques I implemented to divert my focus from binge eating was to keep a diary of my craves, at the time I crave them. I realized this had become a list of my trigger foods. Writing down foods during a crave helps distract my focus from the crave, and reassures myself that if I put the craving out of the focus of my mind, I can come back to it later (perhaps for a special occasion, or in moderation, or never!). As I read that list over, I do not crave any of those. But I know at times I have very strong cravings for those foods. Knowing they are written down somewhere reassures myself that they will still be there in the future, I do not have to eat them right now. At work, we have snack drawers, and although most of the snacks are not too appealing to me, they were a target of many of my binges once I got triggered. Recently the snack drawers got a different rotation of snacks, and I absolutely know that prior to implementing my Food Plan, I absolutely would have been bingeing on this. But now when I look in the drawers I remember my food plan and my period of abstinence and that gives me tremendous strength to walk away. I use the WW app and website religiously for tracking. I track all my food, excluding zero-point food. In the past when I had a binge day, I track the binge. Having data is helpful to keep me motivated and learn about what foods are good and bad for me. I do not eat anything without knowing in advance what its points value is. Particularly the first month on WW when I was still learning what foods had high vs. low points, I researched all foods before eating. Otherwise it is easy to eat an entire days worth of points in one meal by accidentally picking high-point foods. I pretrack meals when I know I will be dining out. I scour the restaurant's menu in advance and pick out my meal, enter it into the app, to budget points, make sure I stick to healthy options, and stay within my points budget for the day. Pretracking prevents point overages as it establishes rules for future meals, especially when eating at restaurants. I use Favorites to store frequent foods and custom meals to make tracking easier. As I mentioned, I do not track zero-point foods: Mainly fruits and vegetables, lean meat, beans, eggs, and Greek yogurt. "You don't binge eat. 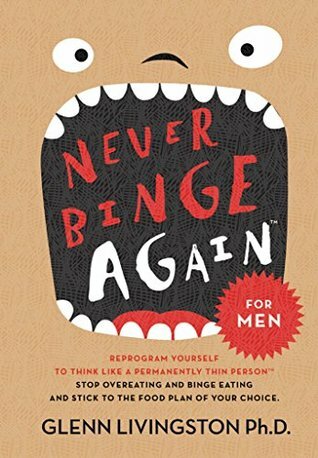 I have never seen you binge eat." That is the point. No one sees me binge eat. Gretchen Rubin taught me that I am an abstainer. When I see a box of cookies, I have a binary choice of eating either no cookies, or bingeing on the entire box. In contrast, moderators can have a few cookies and walk away from the rest. I know this is also true of alcohol and drugs, not just sweets. I am an abstainer (all or nothing), not a moderator. Knowing this has helped me to have the power to walk away from temptations (sometimes), knowing that if I have one, I will have all. Abel James did a podcast about this topic in an interview with Gretchen Rubin. I recommend listening to the podcast, or at least reading the transcript. What is my "why" for wanting to stop binge eating? What is your "why" for the changes you want to make? I know that a Food Plan is, by its very name, a plan for food. But I feel I also need to make a commitment to a minimum level of exercise per week. Otherwise I do not hold myself accountable to a minimum level of high-exertion activity. I think that measuring exercise by a certain number of minutes of high-exertion activity is the best way to do this, and gives me the flexibility to determine how I want to spent those minutes (cycling, running, swimming, elliptical, etc.). My smartwatch tracks time spent on high-exertion activity, on a 1:1 basis for moderate activity and a 2:1 basis for high intensity activity. I'll set my goal at 60 minutes a day, or 420 minutes a week. Based on past experience that should be easily achievable as long as I do cardio many times a week. I will integrate this into my Food Plan as an "Always" behavior. I have tried several approaches to weight loss (keto, intermittent fasting, whole foods), but I kept coming back to Weight Watchers because that was the only method that actually resulted in me losing weight. I have made several attempts at Weight Watchers over the years. In 2016, I tried WW for the first time. I lasted five days. On the fifth day, I exceeded my points for the week, got discouraged at my failure, and cancelled my membership. I later learned that this type of “all or nothing” view of diets never leads to success: The goal is not 100% compliance; the goal is progress. A year later, in March 2017, having reached an all-time high weight, I gave WW another try. Mostly out of desperation to find a program that would work for me. I was attracted to the gamification of weight loss (daily points! weekly points! points to earn from fitness and spend on food! ), integration with my FitBit, and the prospect of eventually using the more lenient Simply Filling plan (now discontinued) to achieve a successful transition from weight loss to weight management. I was hopeful that the points system would help curb my bingeing and sugar addiction. WW taught me how to lose weight, still eat good quality and tasting food, and achieve my fitness goals. My first month I lost 10 pounds, my clothes got looser, my belt needed to be tightened another notch, and I could see the change in the mirror. And although I had a few bingeing episodes, I ate much less sugar, junk food, and fat than I had been before. By my second month, my total cholesterol had declined to a significantly healthier level than I was able to achieve with prescription statins. I managed to lose twenty-five pounds and came within one pound of my goal weight. Then I sabotaged my success. By July 2017, I relapsed. I had nearly achieved my weight goal, but my old habits crept back. I felt the points system to be too restrictive. By December 2017, I had regained all the weight I lost, plus more. By March 2018, I set a new weight high. I realized once again that sugar was the key part of my problem, and tried various attempts at low-sugar diets (including keto), with limited success. By August 2018, I returned to WW. I was exactly the weight when I started WW the first time in March 2017. This round took a bit longer for me to reach goal (which I achieved in November 2018, losing 32 pounds), but I eventually made it and entered the six-week maintenance window, and then achieved lifetime status (maintaining my weight at or below goal for 6+ weeks). I credit the Freestyle food plan, which was introduced for 2018, as helping me stick with WW and not feel that SmartPoints was too restrictive. If you are feeling hungry, but an apple does not sound good, you are not really hungry. -- Source. Going one week without binge eating is a definite milestone for me. Yes, I've gone that long in the past, but it has been a while. My more immediate problem a week ago was that I really could not stop binge eating, as much as I wanted to. And so to go for seven days without a binge is a relief, and a milestone. I feel healthier, physically and mentally, and I feel optimistic that I can continue this to build into a habit and a way of life. Having a Food Plan that is flexible enough to let me eat and not be hungry, but still gives me rules that I need to live by to avoid trigger foods and binge eating, has really been very helpful for navigating those times when I've had cravings and urges to binge. My focus for the next week will be on reintroducing exercise into my overall health plan. Having a list of healthy food options for dining out is helpful when travelling or eating out with friends or family. Here's my go-to list. Most of these have very low WW SmartPoints.